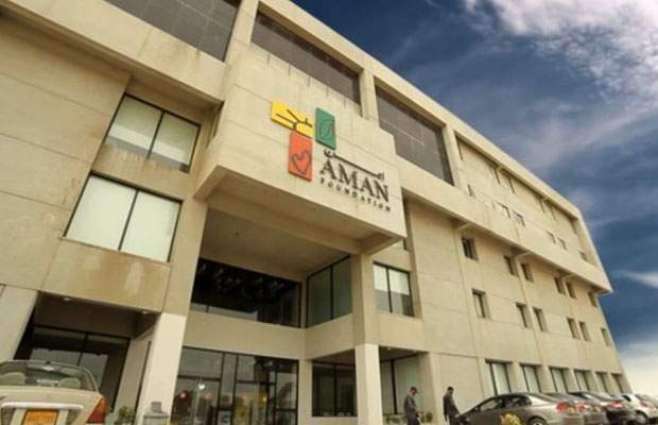 KARACHI: National Institute of Cardiovascular Diseases (NICVD) signed a MoU with the Aman Foundation the other day to partner with the Aman Ambulance network. NICVD Welfare Trust Trustee Amin Hashwani and Aman Foundation Trustee Dr Saadia Quraishy signed the MoU in the presence of media, trustees, management of the two organizations and notable citizens of Karachi. NICVD desires to develop an integrated healthcare system across Sindh with its state-of-the-art facilities as the Hub. An integrated global standard emergency medical system is an essential part of this healthcare eco-system. Since Aman Ambulance has a proven track record of service delivery with 955,000+ life-saving interventions, both NICVD and Aman concluded that the most cost-efficient and quickest way to deliver this critical service for the masses would be for NICVD to adopt and scale Aman’s ISO:9001 (2015) certified process, systems and ambulances. Amin Hashwani, while addressing the media said, “We believe strongly in transforming healthcare in Sindh for the masses through our own quality service delivery and partnering with like-minded organisations. After 10 years of building and running operations across Karachi and districts of Thatta & Sujawal, Aman Ambulance is a replicable and scalable model. By adopting their “Best in Asia Emergency Care” award-winning systems, we will be able to fill the critical gap of pre-hospital care. Aman has developed outstanding programs, and I believe that they will continue to do so in the future. NICVD will assure that the gifted Aman ambulances are utilized efficiently and that the quality of service provided will remain the same”. Currently, Aman Foundation has 75 ambulances catering to the entire city of Karachi, comprising of 20 million people. However, there is a need for at least 200 life-saving ambulances in order to ensure that no emergencies go unanswered.